FREE MP3 BIBLE: Reaching the world in our lifetime? What a great habit to listen to the Word of GOD in the car on trips with the family or alone to and from work or school! What a great habit to listen to GOD’s Word during down times or while you’re on the internet! What a great and free way to do it through the MP3s available on Amazon.com! 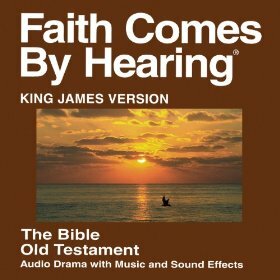 KJV Dramatized Audio Bible available free from Amazon.com in MP3 format! A free way to share the Gospel with the world and your social network! Excellent way to immerse yourself in the Scriptures while doing other things! Download to you and / or your child’s phone(s) to listen on the run! Great for memorization of the Word! Play every time you get into the shower or bath! You will find the links to Amazon.com below and you will also find a YouTube channel below for sharing this Audio Bible with your friends on Facebook and other social media. These people also truly understand the New Testament concept of ministry, providing their labor free-of-charge instead of turning the Word of GOD into commerce. In a nation where most people offering something about the Gospel can be classified in the “den of thieves” column, I’m so thankful for individuals like those who have provided these MP3s who understand that living above and beyond “our rights” in order to exemplify godliness, frugality, and freedom from greed is so important. Furthermore, they may reach every language and people in the world with the Gospel in this generation! “We could see the Great Commission completed in our lifetime! This could be the generation to bow before our Lord and offer Him the inheritance of the nations. Currently, Faith Comes By Hearing offers 712 languages, reaching more than 5.7 billion people in more than 187 countries.